Occasionally, I will receive a wedding inquiry with a note included that mentions that they couple doesn’t need or want an engagement session. Sometimes after giving a couple my wedding pricing, they ask me what the savings would be if they eliminate the engagement session from their collection. My answer to these questions isn’t a simple one but in a nutshell… the engagement session is my wedding gift to you. It is entirely complimentary, I truly do not profit from these sessions financially at all however, we both will gain a lot from taking the time together to do it! 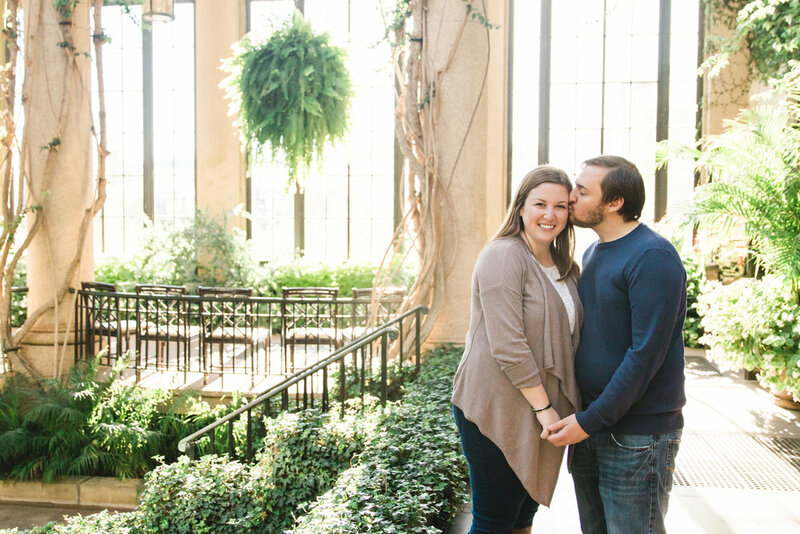 While you are welcome to choose to skip your engagement session (though I do not reduce the collection investment price if you do), I think I can convince you that it’s a worthwhile hour spent with me that will mean more to you than just the beautiful images. So, why do I gift my couples with an engagement session? It’s really common for me to meet my couples in person for the first time at their engagement session but on their wedding day, they’ll spend more time with me than anyone else! Even if I know the couple beforehand, this is a new, unique relationship for all of us. So, I need to learn a lot and build a ton of trust in a short amount of time. The engagement session is a time for me to get to know you individually and as a couple. I learn by working with you what makes you giggle, what poses are most flattering, what you love, how you envision your wedding day, how you and your partner interact together, what levels of PDA you are comfortable with and soooo much more. These may seem unimportant to you but they are all absolutely vital for me to capture your true selves and document your legacy with truth and timelessness. The engagement session is a time for me to get you comfortable in front of the camera. Even if you’ve worked with a professional photographer in the past, we all work differently so it’s really key to get to get all those questions and nerves out of the way before the hectic-ness of the wedding day! For both of us! During the engagement session, I teach you my poses and learn how to tailor them perfectly for you two. Every couple has different height differences, body shapes and comfort levels. Getting to know you both during the engagement sessions allows me to show off your best selves through natural posing and interaction. An engagement session lasts a little longer than an hour but on your wedding day, we may only have 20 - 40 minutes for all of your bride and groom portraits. On the wedding day, when we are extremely pressed for time, you will know exactly what I mean when I say, “share little kiss and gentle smiles after keeping your noses close”. We’ll nail the shot in a half a second without awkwardness, questions or hesitations. We will only have a very short amount of time to capture the portraits that you expect from me therefore it’s extremely important that we are communicating clearly. If you’re nervous about being in front of the camera, the time to feel that way isn’t on your wedding day!! That’s why I want to build that trust and make you feel amazing at your engagement session. My couples hire me to document one of the most important days of their lives thus far. It’s a monumental day for their families too and I’m completely in awe every time I am blessed with the chance to capture memories that may be enjoyed and studied by their future generations. Building trust with my couples begins at the engagement session. I want them to know that I only have their best interests at heart, that I absolutely want them to look and feel their best and that I’ll go out of my way to ensure that they’re comfortable and enjoying each moment. If there are any nerves or fears, we want to address them and then get rid of them during your engagement portraits! The images you’ll receive from your engagement session are just a little thank you from me to you for giving me the honor of capturing your love. Fiancée is likely the title that you’ll hold for the least amount of time in your life. Engagements are just a blink of the eye compared to a marriage. This time deserves to be documented and celebrated! I don’t consider myself particularly photogenic and was a bit nervous going into engagement photos but Savannah made my fiancé and I feel so comfortable right away! We tried a number of different poses and have been able to find ones that are most natural and flattering for us so I’m much more confident going into photos on our wedding day. 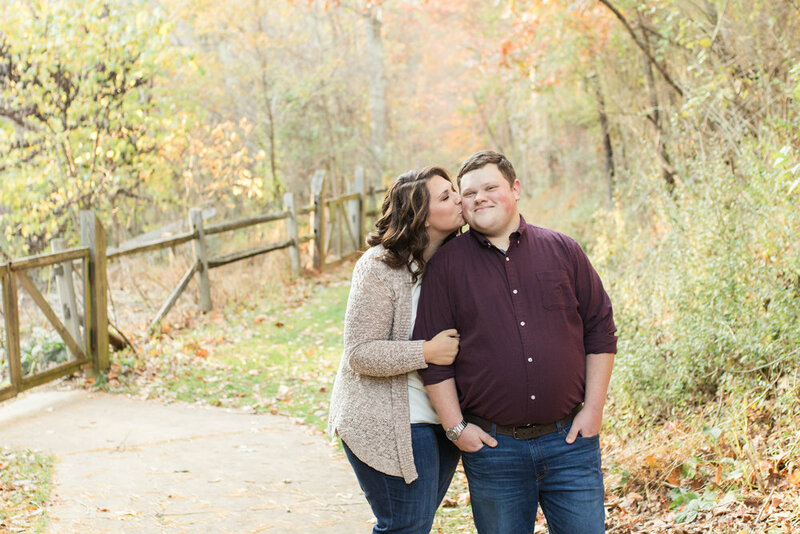 Working with Savannah for our engagement session made us feel so at ease and comfortable that we were able to just let go of our fears of looking uncomfortable on camera and have fun with the experience. She took great care to explain her shooting process with us. We knew we were with a professional! She made my fiancé (who was less excited than me to be getting our pictures taken) feel relaxed and open to enjoying our session. I can’t wait until our wedding day! I know it will be especially incredible with Savannah. I was surprised at how much we loved our engagement session. I was only thinking of the outcomes of the phots and not the actual session. It is one of my favorite memories of our wedding journey! It was an incredibly fun afternoon to take a break from the craziness of wedding planning and celebrate that season in our lives. It takes a special, truly talented person to be able to make a “hides in the background of photos” girl feel comfortable being “center of attention” girl, and that person is Savannah. I was so incredibly nervous for our engagement session as I’m not typically the kind of person who adores photos being taken of me. Savannah helped with the entire process from picking out the perfect outfit and location to posing my husband and I in ways that flattered us. When we got our engagement session back it was incredible for once I felt beautiful! When our wedding day arrived I felt so comfortable and relaxed. I was so nervous about getting posed photos taken, so much so that I put off our engagement photos for too long. Savannah made it so easy and comfortable. When our wedding day came, the photos were the one thing I didn’t stress over!